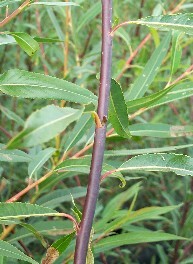 Dark Purple willow which grow up to 8′ on our willow beds. 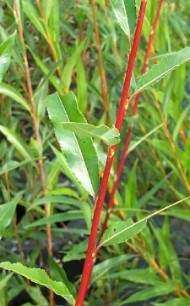 Summer colour is more red (see picture). 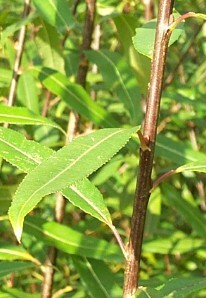 We use it for living willow, plant supports and weaving. 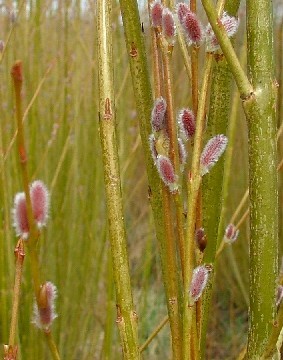 Also develops an attractive bloom on the stems, much like red grapes. Sold in bundles of 10 cuttings. Each cutting is 10″ long and cut from the base of the rod to maximise rooting. 8″ should be planted I the ground, 2″ above. Full instructions included.